Sarah is one tough, sensible, and patriotic woman. She is appropriate and stands up for this nation’s values and principles. She is truly an asset to the Trump team. She takes no crap and always has an intelligent answer. 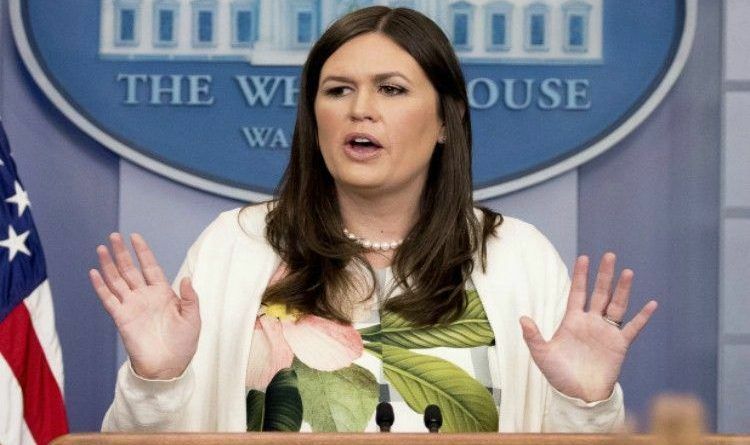 White House press secretary Sarah Sanders is a strong woman who is not afraid to speak the truth. She is not that kind of a girl who will just stand there and listen to the liberal media constant attacks! No, she did something that made us all proud of her! She bravely defended Donald Trump’s decision to call Sen. Elizabeth Warren “Pocahontas” during an event honoring Native American veterans. Sometimes, I do not understand why we have these sessions, where the news asks the most insane questions and their sole purpose is looking for ways to make derogatory comments about the President. Luckily, Sarah is one smart woman and doesn’t back away from a question. The mainstream media does not have a chance against her. She’s just as calm and laid back. Great choice to put her in this position. Enjoy watching her.